It’s nearly Tour time, everyone. 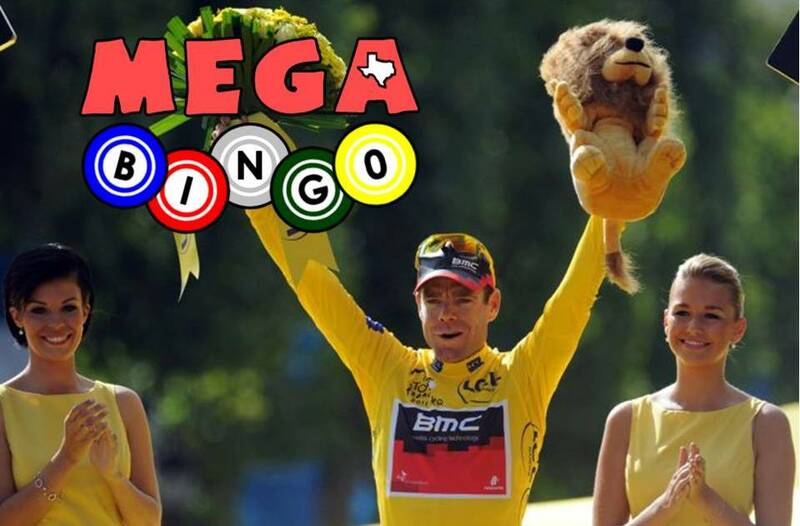 So it’s time to print out your TDF Bingo game cards. And tick them off one at a time as Monsieur Liggett and Monsieur Sherwan do their annual thing; concocting their truly unique ways to express the time trials and tribulations of 190 battle-hardened souls as they roll, climb and scrape their way through 21 days of racing on the isle of Corsica and then mainland France. Guaranteed winning phrases include maillot jaune, hard men, Chateaux, domestique and Hincapie (even though he’s retired, they’ll still say his name repeatedly, along with that of Jens Voigt). But for all their favourite phrases, there are sure to be plenty of random ones, as always. Need to create your TDF game cards? Use this link. Reverse hairpin (still haven’t figured that one out). Suitcase of courage indeed. How could I have forgotten that beauty? !